Last week, BSF was honored to be an invited participant by the NIH on a prestigious panel discussing the power of patient registries. I was truly humbled to be able to represent our community of individuals living with Barth syndrome alongside talented leaders such as Dr. Eric W.K. Sid from ORDR, NCATS; Dr. Denny Porter, Clinical Director and Senior Investigator at the NIH; Dr. Janet Maynard, Director of the Office of Orphan Products Development, FDA; and Dr. Jeanine D'Armiento, Director of the Center for LAM and Rare Lung Disease at Columbia University Medical Center. Early on in our history, BSF recognized a need to better characterize Barth syndrome. 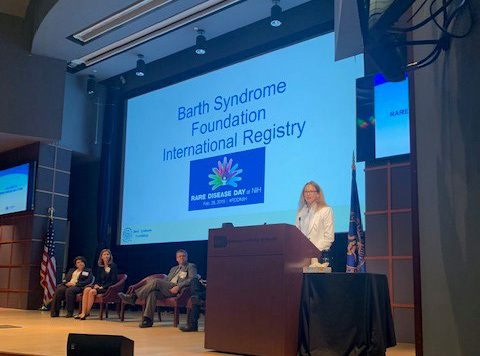 In 2006, BSF created its registry to gain critical insights into the disease by collecting physician-entered as well as patient-reported information from individuals living with Barth syndrome around the world. As a result of this strategic initiative, data compiled through BSF’s registry has been the driving factor behind the collective understanding of the disease, as well as a powerful source for directed research strategy and funding. Notably, our families and affected individuals are the unsung heroes that have made these findings possible through their contributions to the registry. Learn more about the impact of the registry, collaboration, and publications here. In addition, I am very excited to announce a collaboration between BSF, Healx, and Boston Children’s Hospital that offers promising and innovative therapeutic opportunities for our Barth community in the future. The partnership highlights the potential benefits of a multi-sector approach to drug discovery and could revolutionize the value proposition of developing therapies not only in Barth syndrome but other rare diseases as well. Read the full press release here. 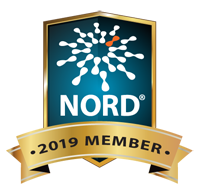 I am proud of the work BSF is doing to serve in the ranks of other rare disease organizations as a thought leader and valuable partner. We are an invited participant in the upcoming World Orphan Drug Congress in April 2019 as well as an executive think tank of drug developers in rare disease in May 2019. Your ongoing support as a champion of BSF’s mission to save lives from Barth syndrome makes this possible. I hope you are as excited about all of these collaborations and opportunities as I am, and I look forward to telling you about our progress.